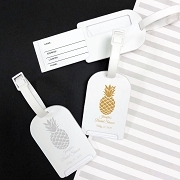 Say 'Bon Voyage' with this fabulous luggage tag keychain favor that guests are sure to take with them on their travels. The luggage tag design keychain is made of sturdy metal with a silver finish. 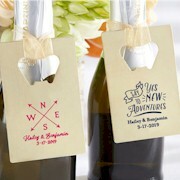 The charm has molded raised travel designs and a 'Bon Voyage' message. 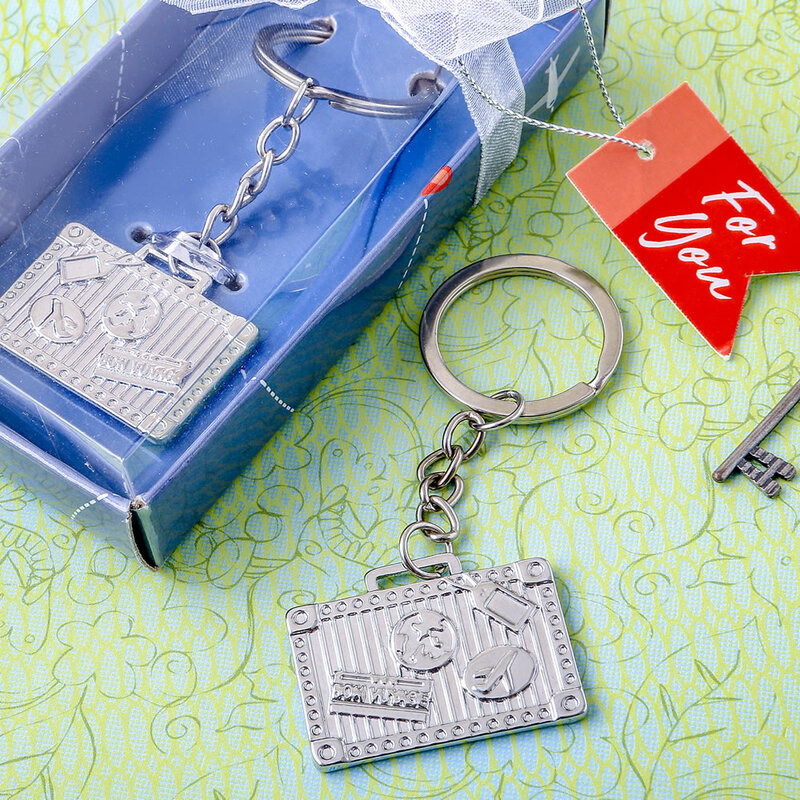 The luggage tag charm is attached to a silver metal key chain and silver key ring. This lovely favor is presented in a travel design slate color box with a clear acetate top. The box is wrapped with a white organza ribbon and bow. Attached to the bow is a 'For You' tag. A great favor for travel themed celebrations, destination weddings, going-away events, Bon Voyage parties and farewell events!